The National Home Price Index increased 5.8 percent year-over-year in December 2016. This is the 56th consecutive month of positive gains and the largest since June 2014. December was also the sixth consecutive month in which the year-over-year figure increased over the previous month. 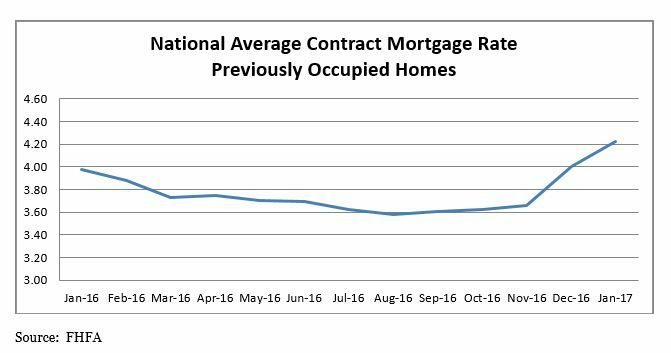 The average interest rate on all mortgage loans was 4.17 percent. This is up 26 basis points from 3.91 in December. The average loan amount for all loans was $305,400 in January, down $13,700 from $319,100 in December. 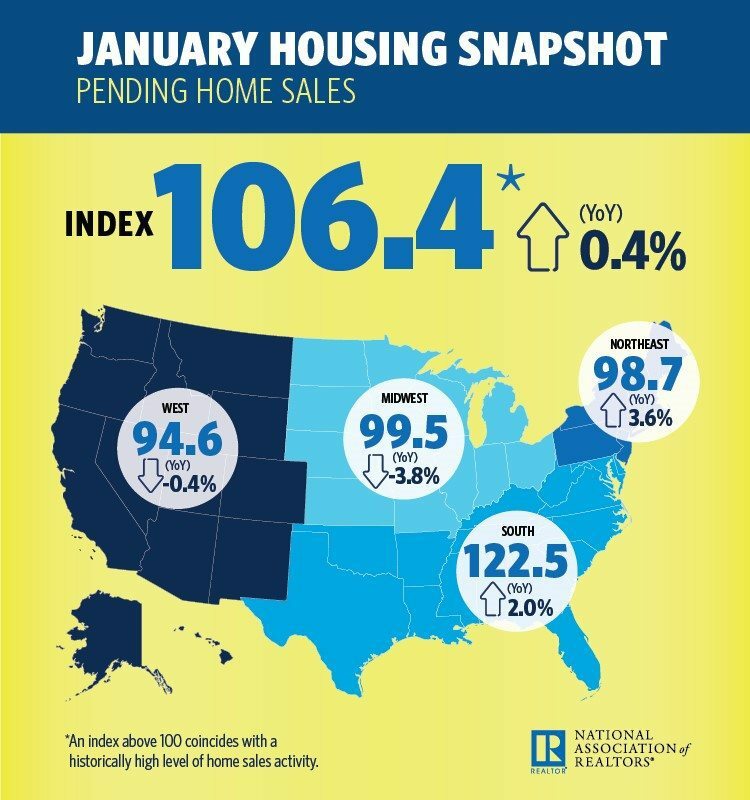 The Pending Home Sales Index decreased 2.8 percent to 106.4 in January from an upwardly revised 109.5 in December 2016. January’s index reading is 0.4 percent above last January, but it is the lowest since then. 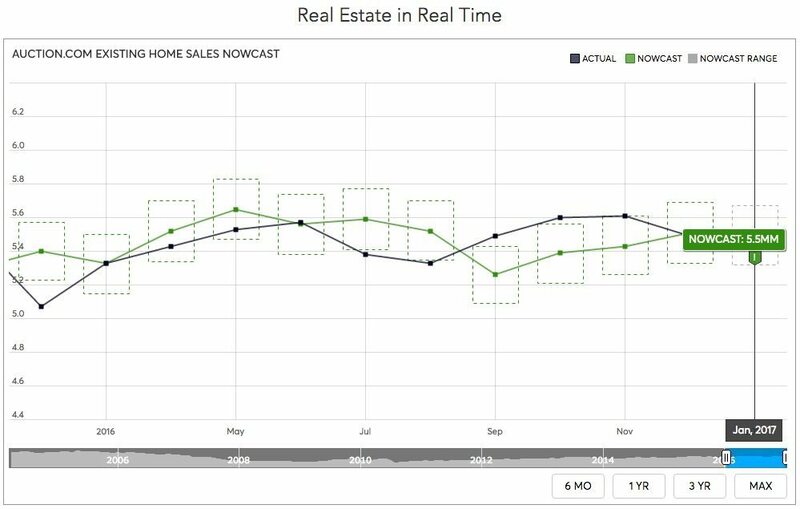 Existing-home sales are forecast to be around 5.57 million this year, an increase of 2.2 percent from 2016 (5.45 million). Real house prices increased 6.2 percent between November and December 2016. Compared to December 2015, real house prices increased by 8.0 percent. Consumer house-buying power, how much one can buy based on changes in income and interest rates, declined 5.1 percent between November and December 2016, and fell 2.1 percent year-over-year. Unadjusted house prices increased by 5.8 percent in December on a year-over-year basis and are 1.5 percent above the housing boom peak in 2007. 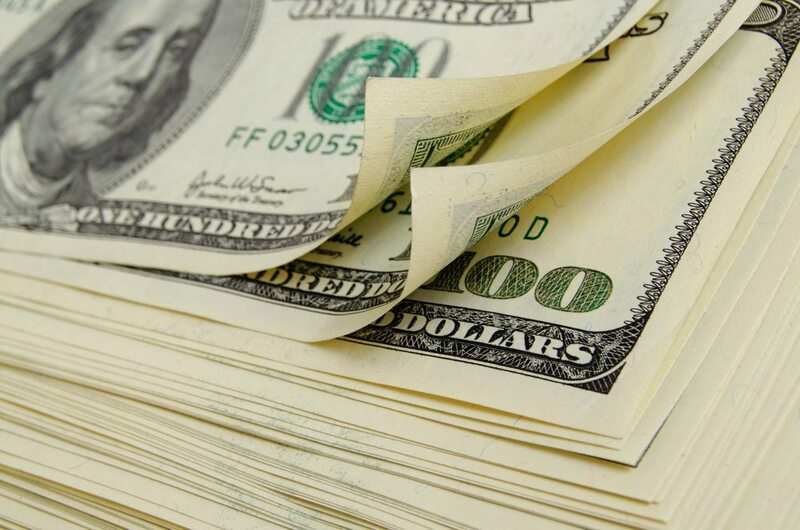 According to the nowcast, February sales will fall between seasonally adjusted annual rates of 5.34 million to 5.69 million, with a targeted number of 5.51 million. 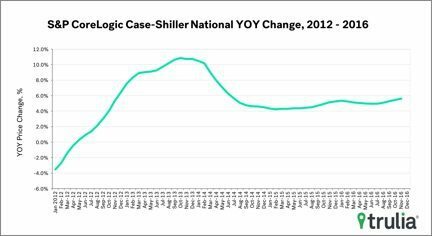 This is down 3 percent from NAR’s reported January sales yet up 7 percent from a year ago.